My preparation for Mabel’s birth began when I was 20 weeks pregnant and I was in Sydney for my HypnoBirthing Practitioner Training Course. As part of the training, we were shown so many inspirational videos of parents from all over the world using HypnoBirthing. 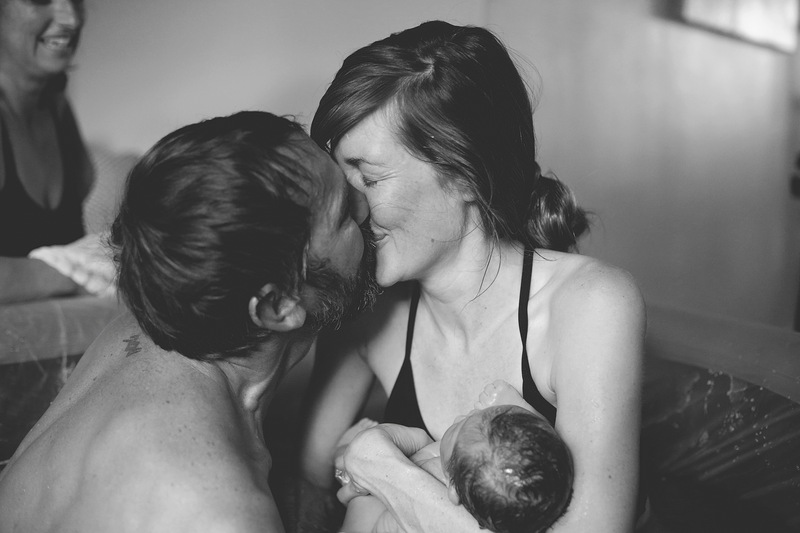 One video in particular stood out for me and that was the video of a gorgeous homebirth by a European couple. 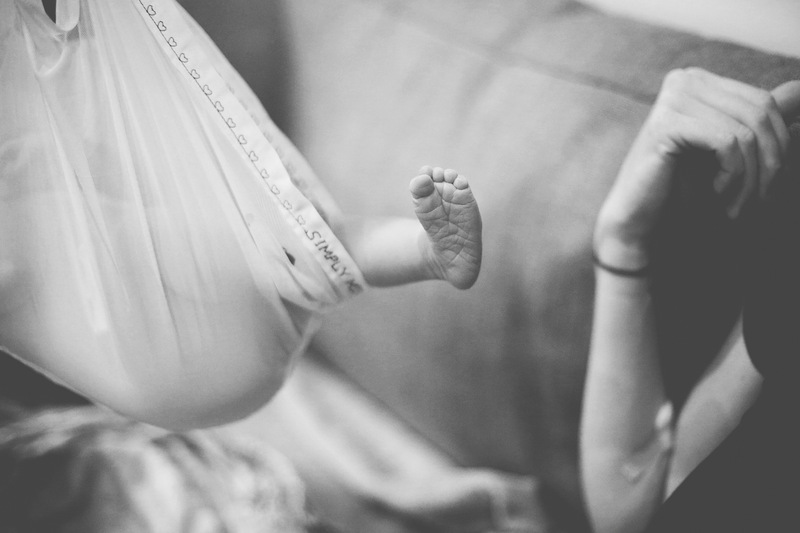 This video had been made to the song ‘Here Comes The Sun’ and as soon as I heard it, I knew that I wanted a photographer to be at Mabel’s birth and that the birth video would have this exact song. I went back to my hotel room that night and downloaded the song and from that day forward, I listened to it everyday and visualised every detail of Mabel’s birth – the sun shining through my lounge room window, candles burning, music playing, sitting in the birthing pool with my husband and then the moment of pulling Mabel out of the water and into my arms to meet her sweet little face for the first time. Little did I know that I would go on to have this exact birth that I had been visualising the whole time. When I got home from Sydney I met with my amazing midwife, Vanessa, for the first time this pregnancy. Vanessa had been my midwife for the birth of my first daughter, Harper, four years ago when I birthed through the government funded Community Midwifery Program. 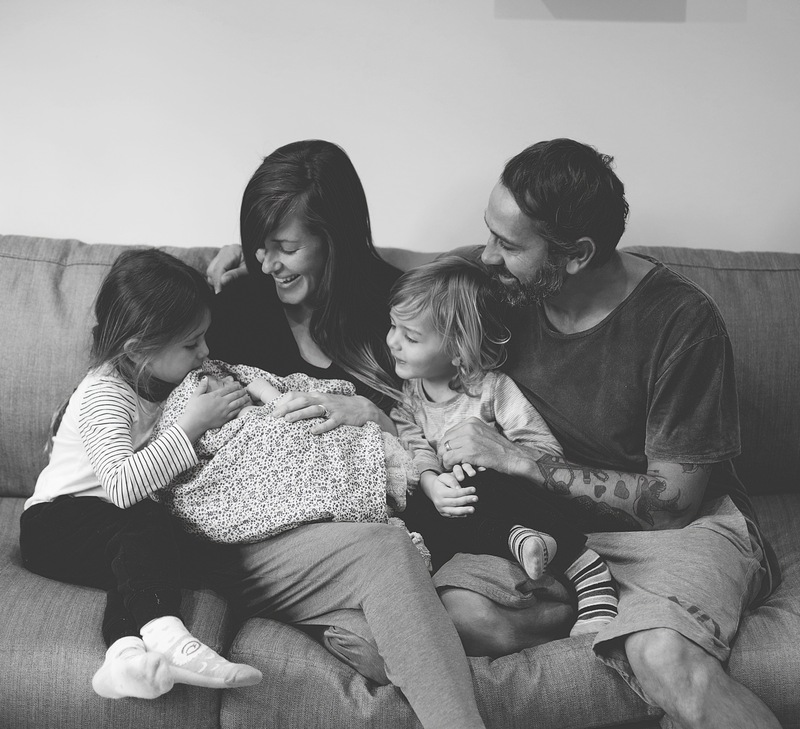 Harper’s birth was challenging but beautiful – born at home after 27 hours of labour. 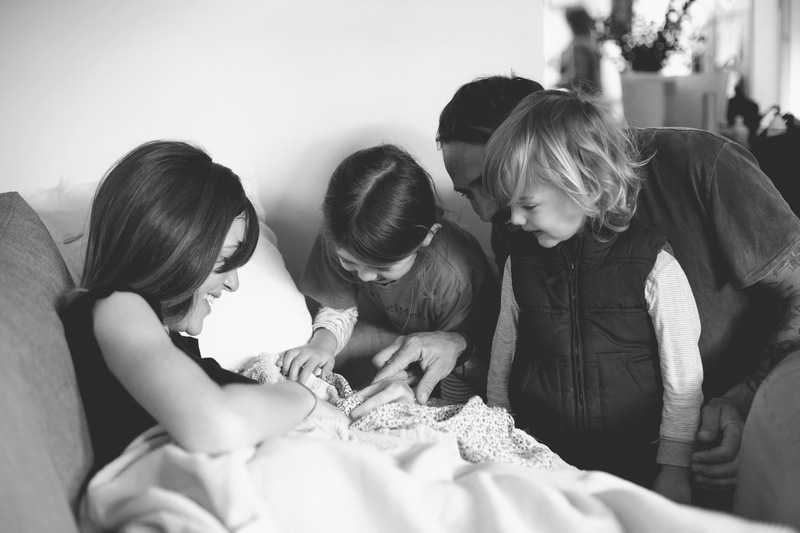 Shortly after Harper’s birth, Vanessa had left the Program to go and practice independently so when I enrolled with the Program again when I was pregnant with Archie, I was allocated a different (but very beautiful and caring) midwife. Unfortunately during my last week of pregnancy with Archie, I was told that I was unable to birth at home because my fluid was on the lower side of normal (which in my opinion, should not have prevented me from birthing at home but unfortunately rules are rules on the Program). Archie’s birth is a whole other story but in short, ended in me birthing him in the hospital corridor over a photocopier machine because I stayed at home too long! 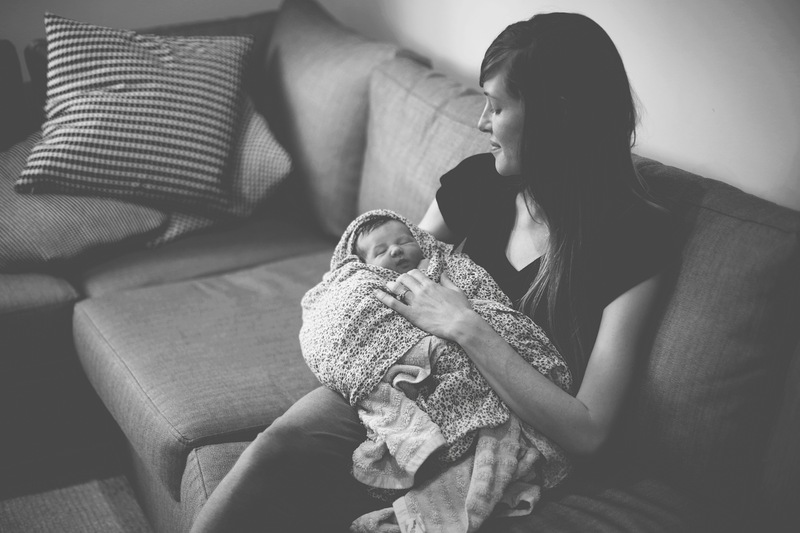 After this experience I knew that I wanted to book an independent midwife for Mabel’s birth because there was no way that I wanted to take the risk of being told at the last minute that I would not be able to birth her at home. As it turned out, going with Vanessa was the best decision I have ever made. 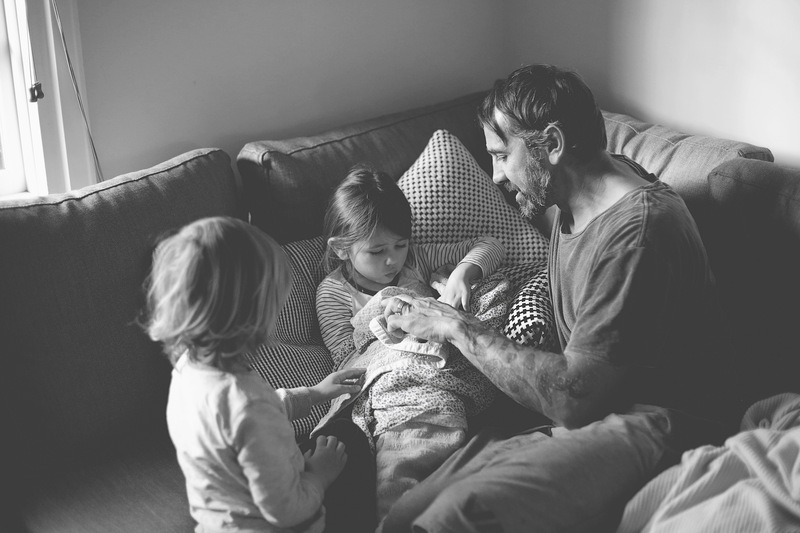 It really goes to show how important it is to trust your care provider and to make sure that they are on the same page as you when it comes to your birth preferences. In addition to the visualisation, my preparations for Mabel’s birth included going to sleep listening to my CD of positive affirmations and the same relaxation music that I had at Harper’s birth. Listening to these every night helped push out any negative thoughts that I was accumulating about the birth and also acted as a trigger for me to relax when I began listening to them on Mabel’s birthing day. Both Harper and Archie were born at 39 weeks and 1 day so when I passed this stage with Mabel, I became very impatient that she hadn’t yet arrived. I had not prepared myself to go full term and certainly wasn’t expecting to have an August baby. For the next few days, I then did all I could to initiate labour. I went for long walks, climbed up and down stairs and on the Monday I got reflexology. I went to bed that Monday night hoping that I would wake up a few hours later in labour as I knew it was common for mums with other children to go into labour once they finally got to relax in bed. When I woke around 5.30am on the Tuesday morning, it was a cold and rainy day and I was having surges that were coming every 10 – 12 minutes and lasting about twenty seconds. I wasn’t sure whether it was real labour or just the practice labour surges that I had been having for weeks. They did feel different but I told my husband to go off to work and that I would let him know if I needed him. Around 7am I was getting ready in the bathroom and had to stop to breath through the surges so I started to think that it must be the real deal. I called my husband to come home to take the kids to school so I could just concentrate on relaxing and getting the house organised. Half an hour later, my husband arrived home and walked through the door, grabbed my face, planted a big kiss on me and said “It’s finally the day we get to meet our little baby”. This was just what I needed to hear. Shortly after, I called my midwife and photographer just to let them know that I thought that I was in labour as they both lived nearly an hour away and needed the notice so they could head down my way and be close for when I needed them. My husband then left to take the kids to school and when he returned we put on a movie to take my mind off the surges. At this point I was still unsure if it really was labour as my waters hadn’t broke and I hadn’t had any other signs to indicate that it was more than just practice labour surges. At lunchtime, I was still getting surges every 10 – 12 minutes but they were quite mild and very easy to breathe through. By this stage, I was really wanting labour to progress so I made sure I stayed vertical by moving around the house and bouncing on the birthing ball. By 1 o’clock the surges started to come every 5 minutes and started to last longer and got slightly more intense. It was then I knew I was in labour but at no time did I start to feel fear or have any other thought other than ‘I can do this’. At 1.45pm we thought we had better ring my midwife and photographer to come over as my past experience with Archie taught me that birth can progress very quickly! They both started to make their way over and Kemal prepared the birthing pool by filling it slowly with warm water. I got out my candles, lit some incense and put on my relaxation CD. I had been waiting to reach this stage all day. Surges at this point were still coming every five minutes and I just had to stop and breathe up with each one and in between was sharing a giggle with my husband. My midwife and photographer arrived at 2.20pm. 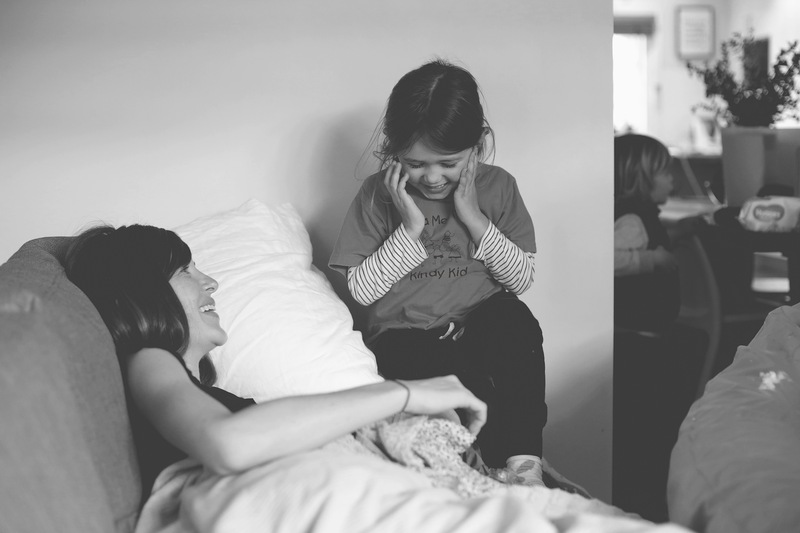 They both quietly crept into the room and each gave me a warm smile when I caught their eye. At this point, I still felt very in control and relaxed and enjoyed speaking to them in between surges. My midwife was very unobtrusive and just let me do my thing. To be honest, I started to feel bad that I had called her because it felt like the next stage of labour was still so far away! At around 2.30pm I was starting to feel surges in my back and I began to worry that Mabel was sitting posterior. This was probably the only fear that I had for her birth as at a few of my last checkups she had been sitting against my spine. 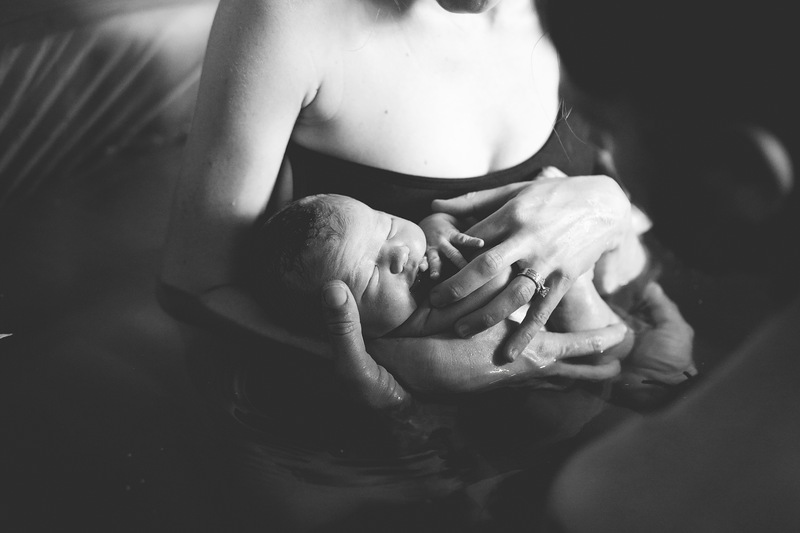 My midwife had a quick feel of my belly and confirmed that she wasn’t and that I needed to just let this fear go and with that thought out of my mind, my midwife began to give me a back massage as I lay slumped over the couch. Two surges later and I suddenly felt very open and ready to breath Mabel down to birthing. Once the second surge had finished, I undressed and hopped into the birthing pool. The next surge came five minutes later and all of a sudden, this overwhelming urge to push came. When I turned around, my husband was in the pool. I instantly moved and leant forward on to his shoulders for support. He whispered in my ear “you’ve got this, keep breathing” and two surges later, Mabel arrived. I shuffled back and pulled her out of the water and couldn’t believe that she was here. I went from worrying I had called my midwife too early to holding Mabel in my arms 40 minutes later. It doesn’t matter how many times you do it, there is absolutely nothing in the world that compares to that moment when you meet your baby for the first time. The next twenty minutes we both spent staring at Mabel and talking about how we couldn’t believe we had made such a perfect little human. Mabel managed to breastfeed and once the umbilical cord had stopped pulsating completely, my husband cut it. He then hopped out the pool and took Mabel for some skin to skin bonding so I could stay in the pool and birth her placenta naturally. Once I had, I was straight out to the couch to give Mabel another feed. Soon after my mum came in with Harper and Archie. I will never forget the look on their faces once they saw her. They were in love. We were all in love. Life was absolutely perfect. By 7pm, everyone had left and it was just my husband and I alone with Mabel all snuggled up in our own bed. We had got the homebirth we wanted. We couldn’t have been any happier. To me, birth is so addictive. I have had three awesome experiences and I could honestly do it over and over again. I am so glad that I discovered HypnoBirthing with Harper as I am 100% convinced that my great experiences are because of everything I learnt in this course. Women’s bodies are amazing. I will always be in awe of what they can achieve.